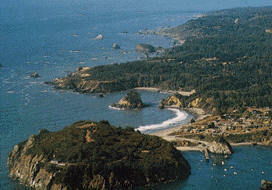 Humboldt County, located in Northwest California, is the southern gateway to the Pacific Northwest. The County is bound on the north by Del Norte County; on the east by Siskiyou and Trinity counties; on the south by Mendocino County and on the west by the Pacific Ocean. 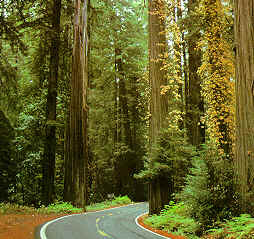 The County encompasses 2.3 million acres, 80 percent of which is forestlands, protected redwoods and recreation areas. 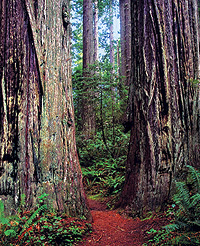 The southern part of the County includes Alton, Carlotta, Hydesville, Rio Dell and Scotia; the Avenue of the Giants communities; Garberville and Redway; the Eel, Mattole and Van Duzen River communities; Humboldt Redwoods, Richardson Grove and Grizzly Creek State Parks; and the King Range National Conservation Area. The northern part of the County includes the City of Trinidad, Orick; Redwood National Park; Prairie Creek and Humboldt Lagoons State Parks; and several State Beaches. Humboldt County is an area of moderate temperatures and considerable precipitation. Temperatures along the coast vary only 10 degrees from summer to winter, although a greater range is found over inland areas. Temperatures of 32 degrees or lower are experienced nearly every winter throughout the area, and colder temperatures are common in the interior. Maximum readings for the year often do not exceed 80 on the coast, while 100 degree plus readings occur frequently in the mountain valleys. In most years, rainfall is experienced each month of the year, although amounts are negligible from June through August. Seasonal totals average more than 40 inches in the driest area, and exceed 100 inches in the zones of heavy precipitation. Because of the moisture and moderate temperature the average relative humidity is high. Largely as a result of the proximity of the cool Pacific Ocean, the adjoining coastal area has one of the coolest, most stable temperature regimes to be found anywhere. With increasing distance from the ocean, the marine influence is less pronounced, and inland areas experience wider variations of temperature and lower humidity's. July mean maximum readings are in the cool 60’s throughout a bearing ranging from 15 to 30 miles in width along the coast. About 90 percent of the seasonal total rainfall falls in the seven months from October through April. Most of this is associated with storm fronts that move in from the Pacific Ocean. There are few thunder showers in the mountains during the summer, but they are not frequent. The climate has several impacts on local economic development. 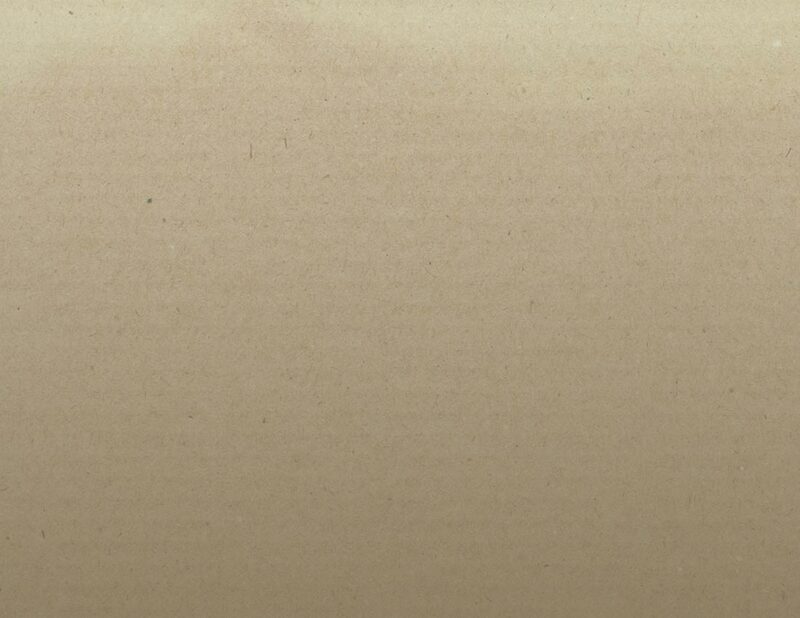 In the winter months when the rain is its heaviest, employment is at its lowest. Fog is also present along the coastline for much of the year. This often delays passenger flights at the Arcata-Eureka Airport. 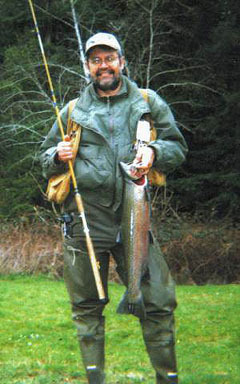 The January 1999 population of Humboldt County was 128,100, according to the State Department of Finance. The County has seven incorporated cities ranging in size from approximately 400 to 35,000 persons. Approximately half of the County’s residents live in incorporated communities, while 59 percent of the County lives in the area surrounding Humboldt Bay. 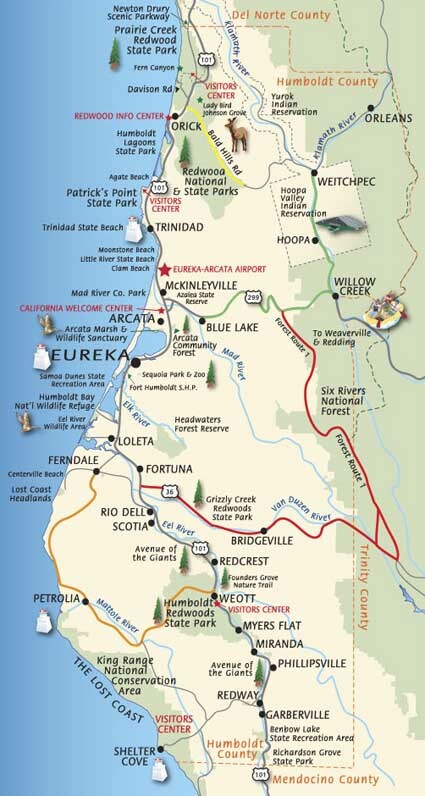 This area includes the cities of Arcata, Ferndale, Fortuna, Eureka and the unincorporated community of McKinleyville.According to the State Department of Finance, the cities of Eureka and Arcata together contain about 35 percent of the County’s population, while 13 percent of the population is scattered among five other incorporated cities (Blue Lake, 1,250; Ferndale, 1,300; Fortuna, 10,250; Rio Dell 2,960; and Trinidad, 360). Approximately 67,700 of County residents reside in unincorporated communities. In terms of regional population trends, the chief growth areas of the County are around the communities of McKinleyville and Garberville, and the cities of Arcata and Fortuna. Most of these regions have an adequate supply of land and necessary public facilities for urban use and can, therefore, be expected to remain as principal growth areas, respectively. The following chart details County population projections over the next two decades, including estimates for several of the incorporated areas.